[Page 2] of others, who do so commend their owne way, that the reformed Churches thereby suffer disparagement; To give that testimony unto the order and government of the reformed Churches, and particularly of the Church of Scotland, which they doe well observe, and to honour them whom the Lord hath so highly honoured, in advancing the Kingdom of his Sonne, in the converting and saving of so many soules, and in opposing and suppressing a world of corruptions, heretics and scismes, by his wonderfull blessing upon their order and Government. In this our humble testimony and true relation; unto which we are at this time thus necessitate, we shall endeavour nothing but a simple and innocent manifestation and defence, without desire or intention to give the smallest offence to any who feare God, love the truth, and desire to walke in truth and in love with their Brethren. This our profession, we are confident will find credit with all that know us, and have observed our wayes since our coming into this Kingdome, which have been and, (so farre as the truth will suffer us) even shall be, to unite and not to divide, to compose rather then to create differences; which we conceive also to be one principall end, of the calling of the Assembly of Divines, and which all the members of the Assembly, against all particular interests, are after a speciall manner ingaged, to aime at and endeavour. [Page 3] The order and Government of the reformed Churches in the beauty and strength thereof, as it is not hid in a corner, wrapped up in a Mystery, or covered under a cloud of darknesse; but is knowne to the Nations and Kingdomes of the earth, openly professed and practiced in the eyes of the world, and cleerly seen as a City that is set on a hill, in the light of the Sunne at noon day: So is it commended and already confirmed by a long tract of time, and the experience of many years, and hath beene countenanced from Heaven and blessed from above, with the preservation of the truth and unity of Religion against Heretics and errours in Doctrine, Idolagry and corruptions in worship, and all sorts of sects and schisms, wherewith it hath been continually assaulted: How goodly are thy Tents O Jacob, and thy Tabernacles O Israel, &c. It hat made the Church of Christ terrible as an Army with banners, and like a strong and fenced City, against which the Adversaries have despaired to prevaile, but by making a breach in this wallm, and where they have gained ground or gotten any advantage, either the wall hath not beene built, or being built hath been broken downe, or not vigilantly keeped by the Watchmen. [Page 5] heard of any to this day, farrer from partiality and prejudice in the matters of God, then their wayes witnesse them to have beene; and were they now living we believe there would be none in the reformed Churches, so far swayed with partiality or prejudice, that would deny them this testimony. [Page 6] better, it is both without and against reason to make a change; without reason, because when the change is made unto that which is but as good, the one and the other in reason are equall: Against reason, because the change it selfe in such a case, is an hinderance to Edification, savoureth of the love of Innovation, and derogateth to the authority which maketh the Constitution. [Page 7] (as wee have formerly professed) that we are most willing to heare and learne from the word of God, what needeth further to bee reformed in the Church of Scotland: Yet God forbid, that we should never come to any certainty of perswasion, or that we should ever be learning, and never come to the knowledge of the truth; we ought to be resolute and unmoveable in so far as we have attained; & this we take to be the ground, as of other practices, so also of Covenants and oaths, both assertory and promissory, in matters of Religion. [Page 10] since their differences from the reformed Churches must be designed under some name and notion, and in this case charity commands the mildest names, such as hint most clearely at the difference and the farrest from reproach, to be attributed unto them, as most discriminative and tolerable. [Page 12] and Officers, which made up a common Presbytery for governing the whole. They set up such officers in the Church, as were both necessary and sufficient for the Church: Pastors, Teachers, ruling Elders, and Deacons. They did not permit such as are called Lay-men and intended to continue such, to preach or prophecy in the Congregation, nor did they admit of any other ruling Elders, but such as are solemnly elected & ordained, although they do maintain themselves upon their own means, ant attend their own particular callings, which is not incompatible with their office, especially they being appointed in a number competent and proportionable to the number of the people and quantity of the Congregation; And their Ecclesiasticall charge, not being pastorall, nor requiring any great meditation or study apart, but such as they may easily attend without neglect of their own particular affaires. [Page 13] themselves. Nor do we measure the power of the Magistrate by the principles of Presbyteriall government, but both of them by the word, & therefore deny not unto the Magistrate what God giveth them; and more then this, dare we not professee for any respect to our selves, or to the forme of Ecclesiasticall government professed by us: how much, and for what ends, the Pagans and Infidels of old, the Papists, Prelats, & Arminians of late, have laboured to make the way of Christ hatefull to Princes and Magistrates, is too wel known and hath bin bitterly felt, yet God hath cursed this policy in the end. There may be good reason to express our judegment of this or other points of duty from Scripture: but to avouch when we are not challenged, and that only in the generall by way of comparison, that we ascribe more to the Magistrate, then the reformed Churches do, they being faithfull to their own principles of Ecclesiastical government, may suffer a harder construction, then we our selves would willingly undergoe, or put upon the intentions of men who seek not their owne things, but the things of Jesus Christ. [Page 16] beare testimony that there is no such thing n the Church of Scotland, as might prove here to be no Church or bar Comunion in worship with her as the Liturgy, Ceremonies and Prelacy in the Church of England, or that the corruptions of the one & the other are of the same kind, equaly destructive of the essence of a Church and equally impedetive of Communion and worship. All visible Churches, which have bin, or shall be at any time on earth, consist of persons, good and bad, sheep & Goats, wheat and tares, such as walk Christianity & such as walk inordinately: Which therefore must also be the condition of the Church of Scotland, yet the order of the Church, admitteth not either ignorant or openly prophane & scandalous persons, to the participation of the Lord’s supper: If any Pastor & particular Eldership be negligent in their duty, it is their fault, who are to beare their own guiltinesse, & ought not to be imputed to the order of the Church, which standeth in force against it. We may be very confident, that the godly people, who did transplant themselves out of this Island, (the same of whose piety & zeal shall never suffer detraction or the finalest diminutio from our thoughts or words) might have lived in the Church of Scotland injoying the pure Ordinances of God, with peace in their consciences and comfort to their souls, & would have willingly come into Scotland, when they went into New-England, could they have bin free of the usurpation & tyranny of Prelates & the Prelaticall Party, which at that time did reigne and rage in that Kingdom vexing the godly ministery and people there, with many and bitter sufferings. [Page 18] Assemblies, the positive grounds of the Government, are laid open, which worke equally against Adversaries on both sides, and have beene applied against them pro re nata as they did arise or shew themselves. If so much have not beene written upon one hand, as the other in a polemicall and Analkeuastick way, let it be attributed unto the adversary, which was but obscure and weake, and from whom small danger was apprehended: it being laid for a common ground by them all, that where a whole Nation is converted to the Christian faith, every particular Church is not to be left to it self, as if were alone in a Nation, but that Christ had provided a way, and there is a necessity of a common Nationall Government, to preserve all the Churches, in Unitie and Peace. [Page 20] providence, they would have preferred the sufferings of their Brethren left behind them in the midst of the fierie tryall, unto their owne exile, and would have been loath to have impeded, or retarded the late Reformation, with any thing they had brought with them from abroad: so many as returned from constrained banishment, having in all Unitie of minde, and heart joyned in the worke of Reformation. [Page 21] common and uncontroverted principles, and in the matter of manners to the common, and universal practices of Christianitie, and in both to the parties known light, is the dangerous doctrine of the Arminians, and Socinians, openeth a wide dore, and proclaimeth libertie to all other practices and errors, which are not fundamentall, and universally abhorred by all Christians, and tendeth to the overthrow of the Reformed Religion: which we wish all sound and sober spirits to abstaine from, least it render them and their profession, suspected of some such opinions, and practices, as in charitie we judge to be farre from their minds and wayes. Two maine objections are made against the principles and practise of the order & government of the reformed Churches, for which the Church and Kingdom of Scotland, have done and suffered so much of old and of late. One is, that there is no need of the Authoritative power of Presbyteries and Synods, and that the exhortation of particular Churches one to another, the Protestation of one against another, and the withdrawing of communion, one from another, may be a sufficient remedy, and no lesse effectuall against all offences, then excommunication itselfe: especially if the Magistrate shall vouchsafe his assistance and interpose his authority, for strengthening the sentence of Non-communion? 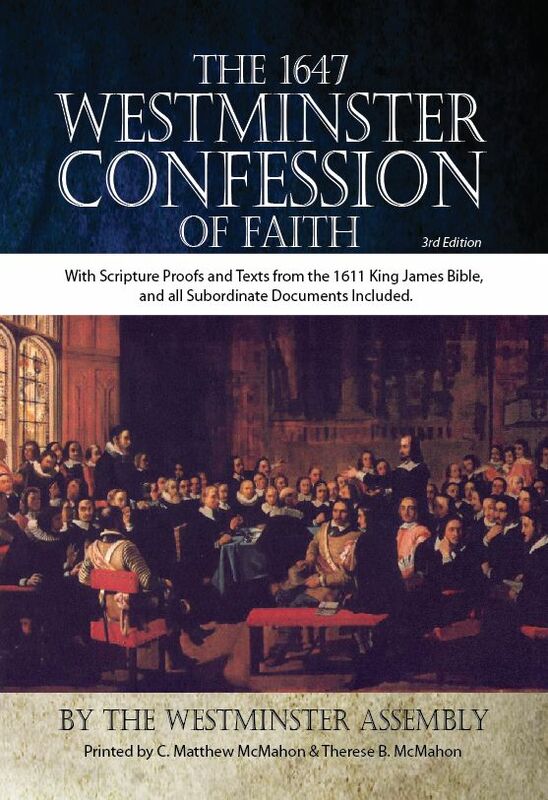 [Page 22] hath not been found in the Church of Scotland, for the space of above fourscore yeares, and which we beleeve was never heard of in any of the reformed Churches, except those of the separation: the pronouncing of non-communion or Excommunication against a whole Church. Our excommunication hath been executed, and but seldome against particular members, never against a whole Church, and we thinke never shall be, and therefore this imaginarie feare of that which never falleth forth, is not considerable: Rules are made for ordinary and usuall cases. 2.What shall be the remedy, where the censure is mutual, and two or more Churches mutually protest, and pronounce the sentence of non-Communion one against other: unlesse there bee a common Presbyterie, or Synod made up of the whole, which may decide the controversie, and give order unto the severall Churches. This non-communion may prove a meane of division, rather than union. [Page 23] difference and division amonst members, as now there is amongst Churches. 4.What shall be done if the Magistrate be negligent or care for none of those things? Or if his authoritie cannot be obtained? Or if hee be of another Religion, and foment the difference for his own politicke ends? hath not the wisedome of the Sonne of God provided remedies in the Church for all the internall necessities of the Church, and constitute it a perfect body within it selfe. Page 24] over us, then we have over him; and another thing to have to doe with civill power which hath authority over both. The other Objection is: That by this authoritie and order of Government, one Church hath power over another, which is contrarie to that libertie and equalitie Christ, hath endewed his Churches with, and is no other but a new Prelaticall dominion set over the Churches of Christ? To this we answer. 1.That wee are very farre from imposing or acknowledging any such collaterall power of one particular Church over another, Nay not of the greatest in all respects whatsoever over the smallest: for God hath made them equall one to another. The power which we maintaine, is aggregative of the Officers of many congregations over the particular members of their Corporation: even as a member of the Natural body, is not subject to another; but each one of them to the whole Man consisting of them all: And as one Member of Parliament, one Counsellor, or to goe lower, one member of a Company is not subject to another, but every one to the whole Colledge: The same may be said of townes and cities; so is it with particular congregations combined in one Presbyterie. 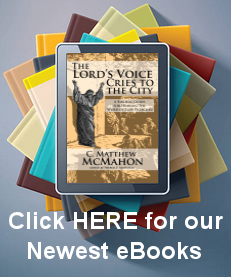 All the Reformed Churches acknowledge the Independence of one particular Church upon another. [Page 26] to run rashly upon Deposition or Excommunication, and afterward either be brought be the neighbouring Churches to the publike Confession of their errour, which lesseneth their authority afterward, or to have the sentence of non-Communion pronounced against them, which must be the cause of Schisme or scandall. So much for the present have we said, not for confutation; but meerely for justifying our owne, and other Reformed Churches against such misrepresentings & mistakings, as in matters of Religion are too frequent in this place at this time, to the perverting and abusing of simple and unstable mindes which will never be brought to a consistence and unity, without this true order and government of the Church, and the blessing of God from heaven upon his own ordinance. Were Magistrates and civill powers acquainted with the power thereof, they would finde their authoritie increased, their work more easie, and their places more comfortable thereby. Such as are most adverse to this order and government (if they allow no materiall difference in doctrine, worship, or practise) might enjoy their peace, and all the comforts of their Minstery, and profession under it, without controlment, from that authoritative power which they so much apprehend. The Church of England which God hath blessed with so much learning and piety, by this Reformation and Uniformitie with other Reformed Churches, which all of us have solemnely sworn and subscribed, sincerely, really, and constantly through the grace of God, to endevour in our severall places and callings, should bee a praise in the Earth.